PARLIAMENT – Parliament has Monday, November 19 summoned the former Bank of Uganda Executive Director in charge of Supervision, Justine Bagyenda for her role in the closure of 7 banks. MPs on the Parliamentary committee on Commissions, Statutory Authorities and State Enterprises have on Monday resumed the inquiry into irregularities in the closure of seven commercial banks, with several bank officials facing the spotlight. These are probing BoU’s decision to close 7 banks including; Teefe Bank (1993), International Credit Bank Ltd (1998), Greenland Bank (1999), The Co-operative Bank (1999), National Bank of Commerce (2012), Global Trust Bank (2014) and the sale of Crane Bank Ltd (CBL) to dfcu (2016) at Shs200bn. Bagyenda and two others are accused of receiving inventory reports from the liquidator on the closure of ICB, Greenland and Co-operative Bank, but did not submit them to the governor. During the interaction with BoU bosses on Monday, the committee agreed to summon Bagyenda after one of the witnesses pinned her and two others over the closure of the said banks. The committee observed that just like Teefe Bank, ICB, Greenland and Co-operative Bank were also closed without an inventory report. The BoU officials’ submissions lacked the list of depositors, cash balances, the book value of physical assets among other items in regards to ICB Bank. The director financial markets and development coordination Benard Sekabira who was the liquidator of the said banks explained that he filed the said reports and submitted them to three former BoU officials including Justine Bagyenda, Margaret Matovu and Apollo Obo who were supposed to submit them to the governor. 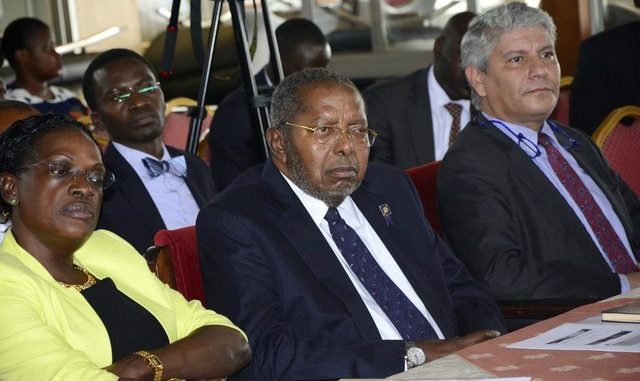 Indeed, the governor Mutebile denied receiving any reports indicating the movement of assets from the three banks during the liquidation process after the auditor general noted that the assets of ICB Bank worth Shs117 billion were moved to Shs19 billion but there are no reports to that effect.